This Vollrath TR3 yellow Traex® full-size plate rack is the optimal tool for holding your plates during washing cycles. Using this rack quickly gets your plates back into the rotation to keep your restaurant running smoothly during peak hours. 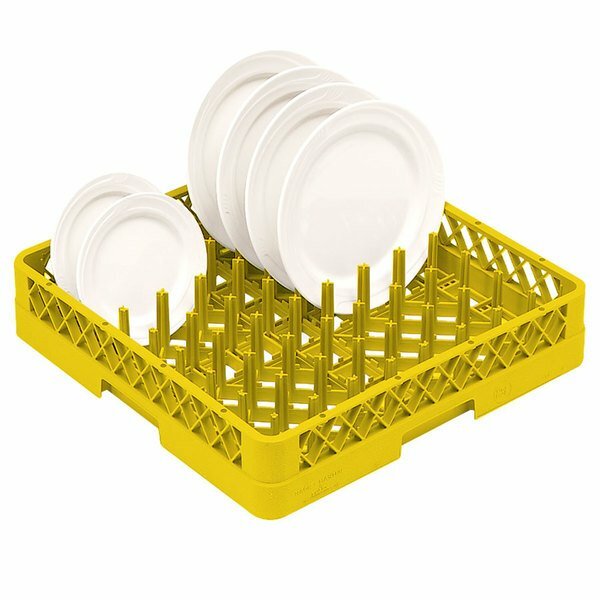 The durable co-polymer plastic rack features 9 rows x 9 rows with pegs to hold plates of various sizes. The 1 7/8" spacing between the pegs ensures that your dishes can quickly air dry after washing.